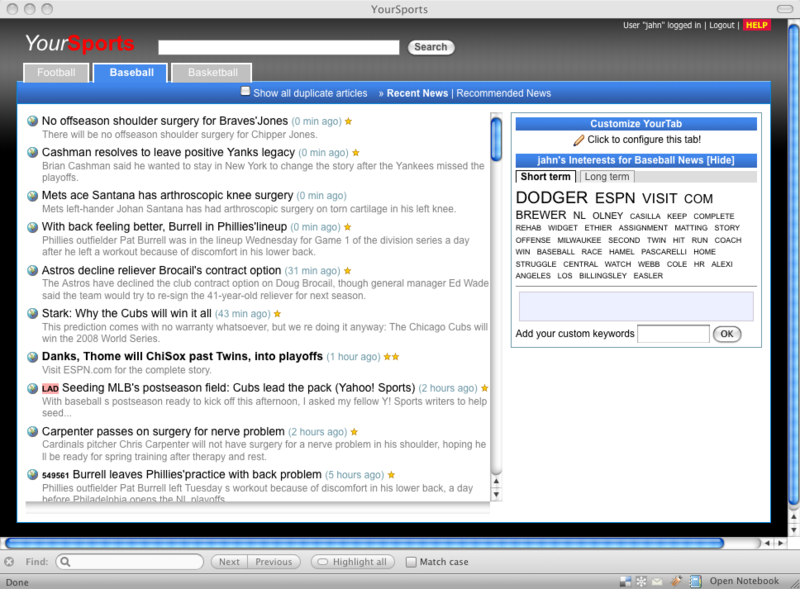 YourSports is a specialized version of YourNews that was designed to help users access sports news. Currently, three sports areas are supported: Football, Basemall, and Basketball. It features the advanced functionalities of YourNews such as the open user model, custom tabs, and feed recommendations. YourSports is currently being developed to include new features, mainly focusing on advanced concept level user models exploiting named entities.